Youth unemployment has scourged the African continent, with rates for Sub-Saharan and North Africa as of 2016 being 13 percent and 30.5 percent, respectively. While North Africa has the highest rate of unemployed youths in the world, Sub-Saharan Africa continues to have the highest youth working poverty rate globally at 70 percent. Youth unemployment on the continent has been exacerbated by the continuing youth bulge with 12 million new people estimated to be joining the labor force each year between 2015 and 2030. This twofold trend of rapid population growth and rising youth unemployment presents a major challenge of harnessing Africa’s demographic dividend. The growing number of unemployed youth poses a challenge to sustainable development, and could prove socially or politically destabilizing as well. The Arab Spring, the success of Boko Haram in Northern Nigeria, and the Senegal electoral violence are a few examples of the pervasive effects of an increasing population of jobless and frustrated youth. Moreover, current unemployment among youth impedes social and economic development not just for today but also for the future, since youth who experience a delayed start in the labor force tend to continue to lag behind in terms of earnings and income growth once they become employed. The demographic challenge of ensuring adequate human development and employment opportunities for the youth bulge is both Africa’s biggest opportunity and the biggest threat to its stability and growth prospects. Unless things change, more will inevitably mean less for Africa. A strong response and urgent action is necessary to alleviate the high levels of youth unemployment as it appears to be a ticking time bomb close to exploding. The youth can be a positive force for development when provided with the knowledge and opportunities they need to thrive. In particular, young people should acquire the education and skills needed to contribute in a productive economy, and they need access to a job market that can absorb them into its labor force. Africa’s youth population is not only growing rapidly, but is also getting better educated, with estimates of 137 million 20 to 24 year olds to have acquired secondary education by 2030; while 12 million of the same age group would have had tertiary education. Unfortunately for most young people, the school-to-work transitions are a long and difficult process and in many economies with large youth populations, the number of formal jobs available is often insufficient to employ all youth entering the labor market or offer a decent wage. The paradox of Africa’s most educated generation of youth, yet high youth unemployment, is very disappointing. There is, therefore, an urgent need to build the capacity in African youth to start and manage their own businesses. Besides providing employment for other youths and contributing to economic growth, young entrepreneurs play an essential role in bringing innovation to an economy, notably new technologies and production methods. This is especially important and relevant for African countries who are not yet equipped to transition to the Fourth Industrial Revolution. African countries have a high entrepreneurial potential that remains untapped. Entrepreneurship can tap into the growing pool of African youth, who are increasingly skilled and competitive. In view of the above, there’s a dire need for African countries to enhance the entrepreneurship eco-system for youth and formulate a sustainable youth entrepreneurship strategy. 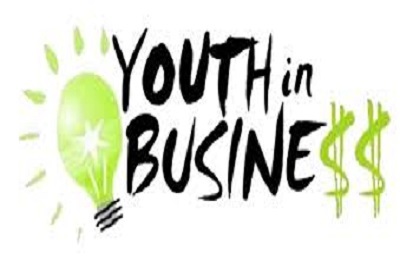 Youth in particular, face barriers to self-employment such as lack of access to resources such as capital, their businesses have lower market value or inventory, are engaged in a narrower range of activities, have lack of access to space and do not bring experience and contacts to the business. In its 26th Occasional Paper, the African Capacity Building Foundation (ACBF) highlights some programs and policies that can improve the chances of self-employment for youths. Business mentoring, leadership training, business planning and offering credit are some of the avenues proposed. Also, youth enterprise funds, procurement quotas for youth enterprises, provision of market access, increasing the productivity of the informal sector and skills training through vocational training are also tenable initiatives. These kinds of interventions have been implemented and were successful in countries like Algeria (Youth Employment Support), Burkina Faso (Youth Employment and Skills Development Project), Kenya (Youth Enterprise Development Fund), Nigeria (The TEF Entrepreneurship Programme and The Youth Enterprise with Innovation in Nigeria program), Senegal (recognition of skills acquired in informal training) and Uganda (The Youth Venture Capital Fund) . Other African countries should emulate such strategies. The essence of ACBF’s new five-year Strategy (2017 – 2021) is to produce Skilled People and Strong Institutions to Transform Africa. Among the five service lines of the Strategy are “investments in capacity development initiatives which will support policy formulation, adoption, and implementation, with training and institutional enhancing.” This Strategy alsoaccentuates that special attention will be given to youth on capacity development. Customized job fairs for youth will be a key feature of ACBF’s approach to capacity building in the next five years. Entrepreneurial clinics will be organized during the fairs to provide technical guidance on proposal writing, loan options, interview skills, and job creation. Leveraging its experience in youth employment research and programs, ACBF will cover at least 25 countries over the period. Building the capacity of youth through strategies that encourage entrepreneurship will unlock the potential for inclusive development that this particular age-group has on Africa.